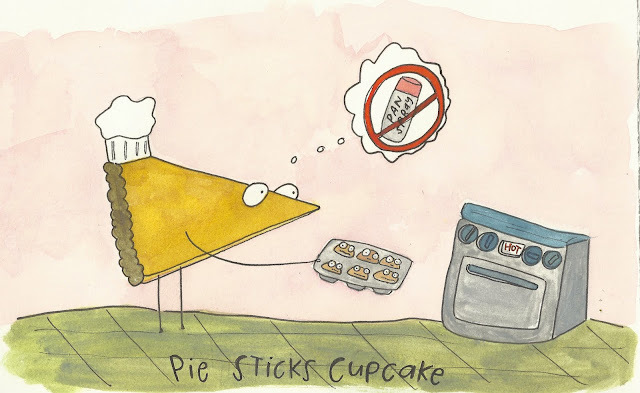 NPR, newspapers, even Betty Crocker herself all seem to be calling pie "the new cupcake". What?! I suppose that I am wary of "food trends" in general, and though I know they are just saying "cupcakes were hip, but now pie is the in thing," and might even agree that the cupcake obsession has gone a bit over the top, the two treats are very different, aren't mutually exclusive, and sorry, according to the all-knowing Wikipedia, pie is like thousands of years older. 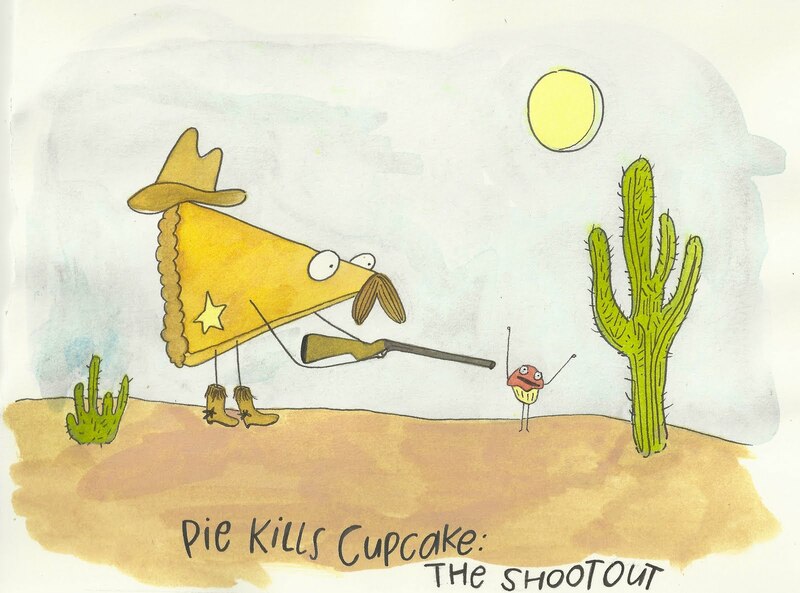 In any case, inspired (and amused) by all this hub-bub as well as by the subversive quilt The Sun Sets on Sunbonnet Sue, my friend and talented illustrator Emily Wallace decided to depict scenes of pie killing the cupcake, speculating all the ways this showdown might take place. Here are two. Amazing. Hoping to see some more scenarios of pie offing cupcake soon. In the meantime, try to enjoy both while you can, will ya?